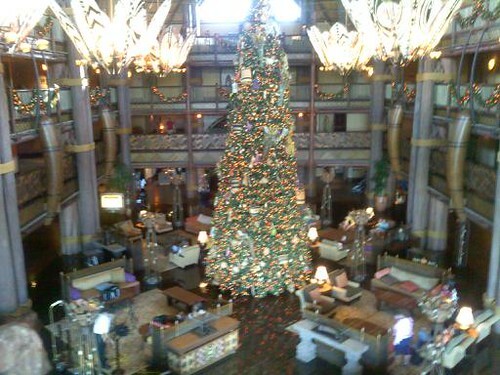 The ever beautiful Animal Kingdom Lodge, originally uploaded by eblackwell. 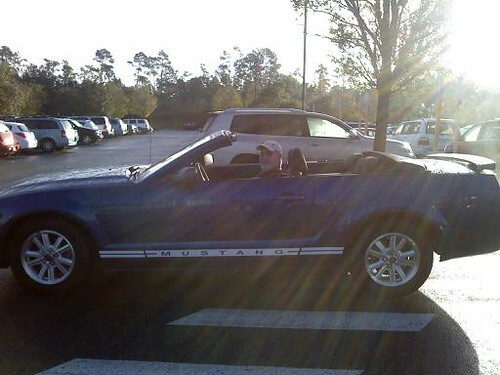 Enjoying the convertible, originally uploaded by eblackwell. John on Ak tram., originally uploaded by eblackwell. Our car is close to entrance but John insisted on the tram "just to check out the new doors". Not to avoid walking, of course. 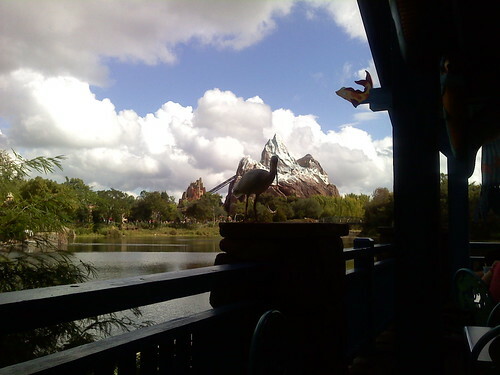 Beautiful Animal Kingdom, originally uploaded by eblackwell. Perfect moment for a break. 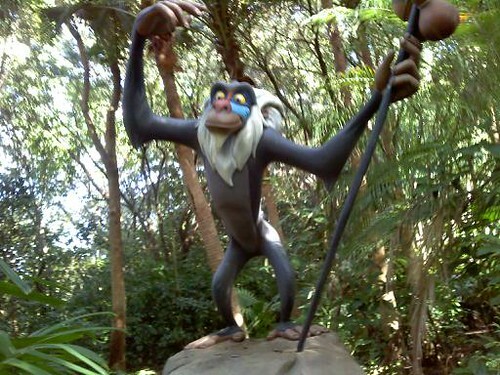 Rafiki!, originally uploaded by eblackwell. Beautiful day so we're taking the walk and enjoying the train! 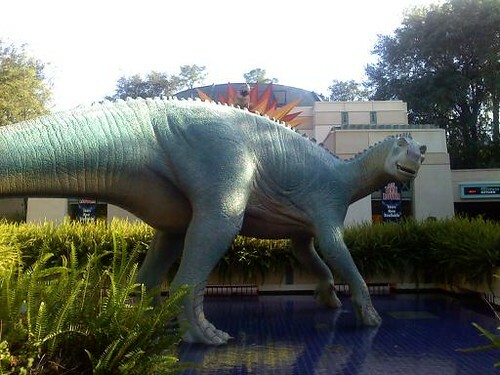 This guy is picking people for Animal Kingdom parade. 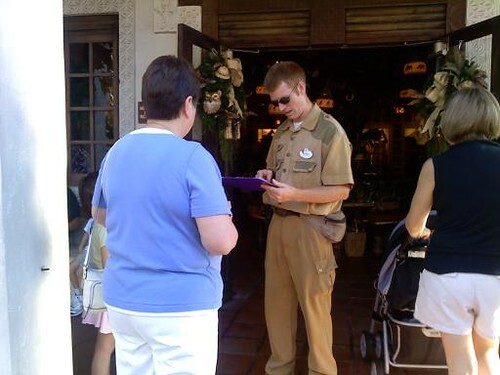 This guy is picking people for Animal Kingdom parade., originally uploaded by eblackwell. 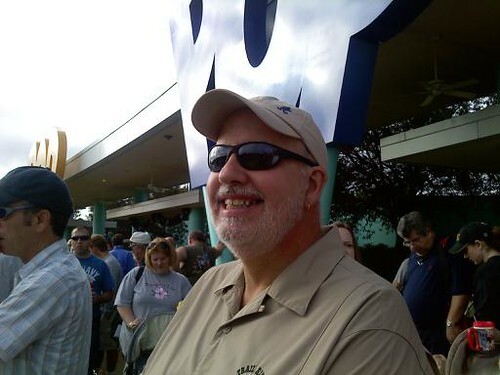 John's ready to start his Disney day!, originally uploaded by eblackwell. Disney transportation went to a new level! 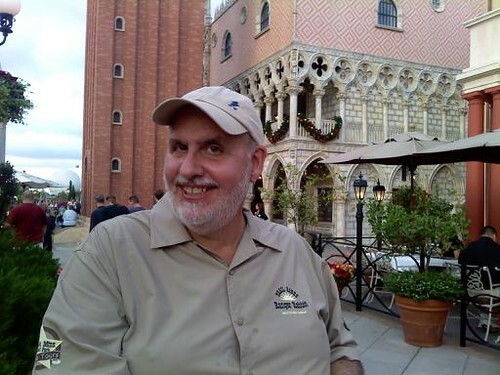 John in Italy, originally uploaded by eblackwell. "in the land of his people"! 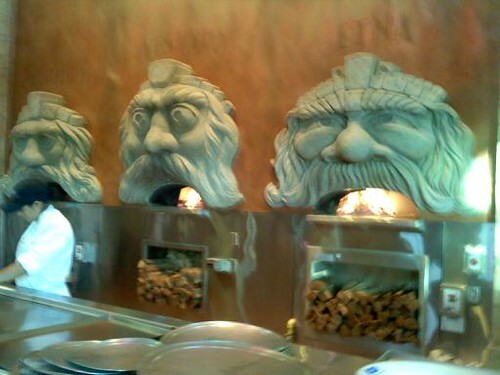 Via Napoli!, originally uploaded by eblackwell. Another new experience. Like the food especially the 4 cheese pizza. We stopped to have a snack from the French bakery after seeing the pavilion's film. Thought I'd show the atmosphere. 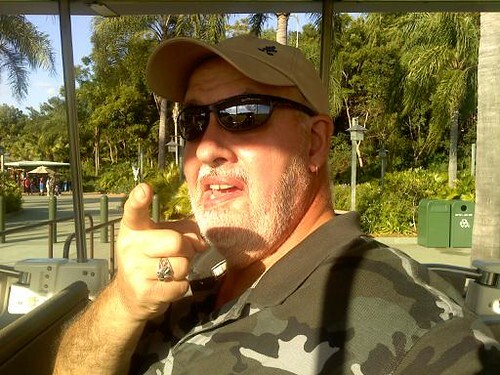 'ullo guv!, originally uploaded by eblackwell. Spot o' Woodpecker Cider? Cool your thirst while you wait for World Showclase Players! But some effects were like Gumby; bad guys foreshadowed the Borg; and the end I called the USS Skittles: fly the rainbow! We saw "Captain EO", or as John called it during the opening bit "Honey, I shrunk the meteor". It was fun to see for nostalgia. 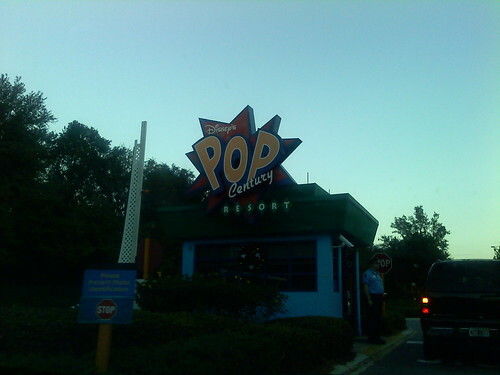 Headed for Epcot!, originally uploaded by eblackwell. So John has a smile on his face even though we just found out the dogs spent the first night howling for us and John left his cell phone charger in the hotel Saturday night. Luckily mine works for his too. Epcot, here we come! 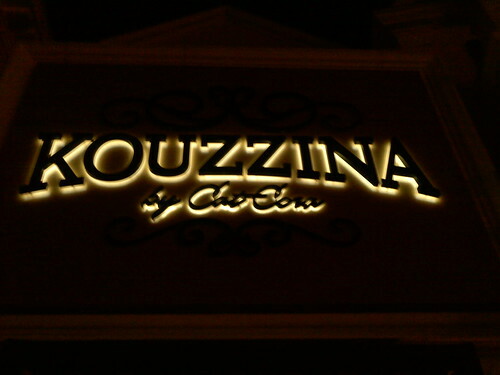 Kouzzina's for dinner, originally uploaded by eblackwell. a new experience for us! 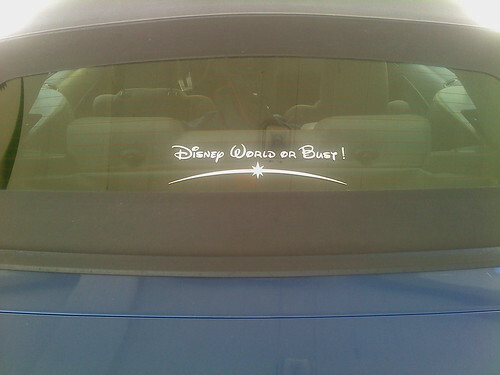 Disney World or Bust!, originally uploaded by eblackwell. 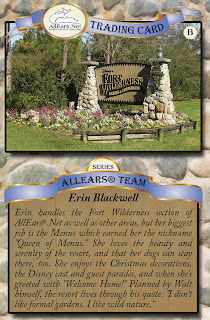 My card is part of the Team series in the All Ears Trading card set. They're brand new as well as a lot more cards for the December meets! You can see where you can meet the All Ears team on our appearances page. And don't forget the All Ears Twitter Hunt! The cards are really popular! They're the brain child of Barrie Brewer, one of our staff photographers. She's doing a fantastic job with them and already has a long list of requests for new series that will come out in 2011. Barrie also has a Disney World calendar that she sells with all proceeds going to Deb Wills' Breast Cancer Walk. But how cool is this? I'm a collectible! And very proud to be part of the All Ears Team. 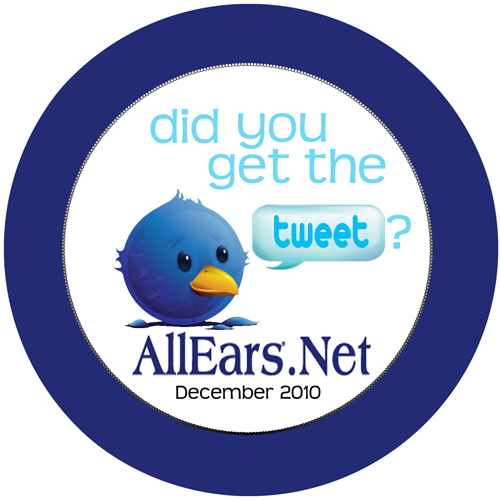 Check it out: the first ever All Ears Twitter Hunt! All Ears is having a new type of event as part of our big Meets weekend (12/2 to 12/6)! Something fun, different, and a spontaneous, quick way for you to meet people on the All Ears team. 1: Follow our allearshunt Twitter account. 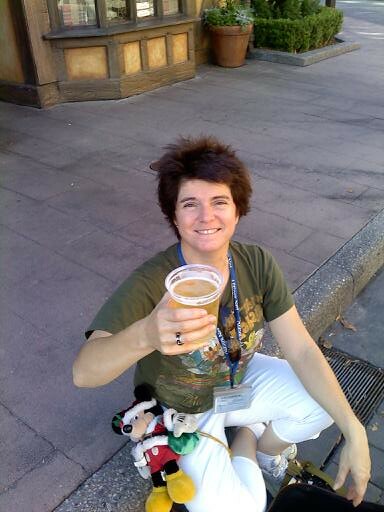 2: Erin Blackwell of our team will tweet her location in Disney World at some point during the weekend. 3: Hunt down where she is and receive trading cards and swag! Other team members may also be there to say hi. 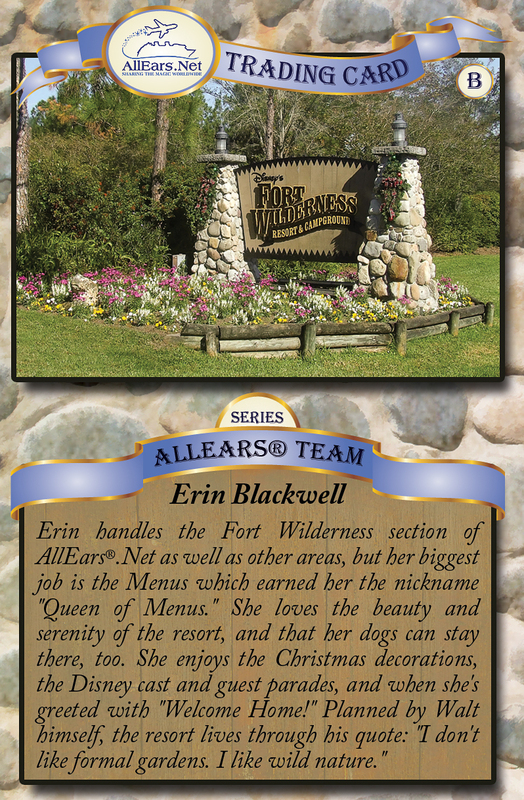 See our Behind the Ears Staff Biographies page (http://allears.net/btp/behind.htm) to learn more about Erin. She will also describe herself in the tweet and will wear a button with the Twitter Hunt logo. Erin will stay in her position for 30 minutes to give you time to reach her. We're starting with one of these Twitter Hunt "quick meets". Please give your feedback if you like it and want to see more of them! You can read about it on the event's facebook page and the allearshunt Twitter page. I got a little hurt when helping someone cover their pool. 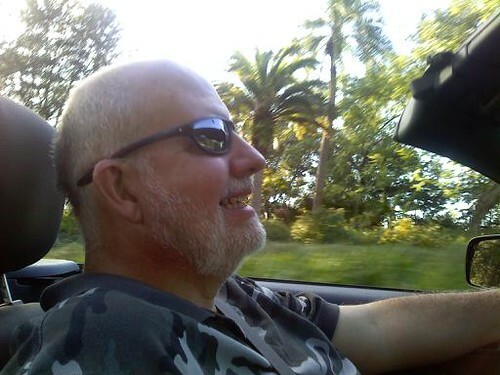 The weights rolled, the cover suddenly slipped, and I was tossed over the side. Luckily, I caught myself but my ankle's a little sore in the tendons, a few toes look like someone tried pulling them off with pliers, and worst.. my lower back is a knot. I thought I could take care of it with heat and ibprofen (also Execrin Back and Body), but that would be a big No. So I have a doctor's appointment tomorrow morning. To add sour icing to the cake, I just got a string of rejections for jobs I really, really wanted. I swore I had all the qualifications, but... no. Oh yeah, those laughs were worth the back pain! One of my favorite quotes is from humorist Erma Bombeck: "When I stand before God at the end of my life, I would hope that I would not have a single bit of talent left, and could say, "I used everything you gave me." My aunt is one of those people. She has built a life of achievement, principles, love of family, and always striving to grow. 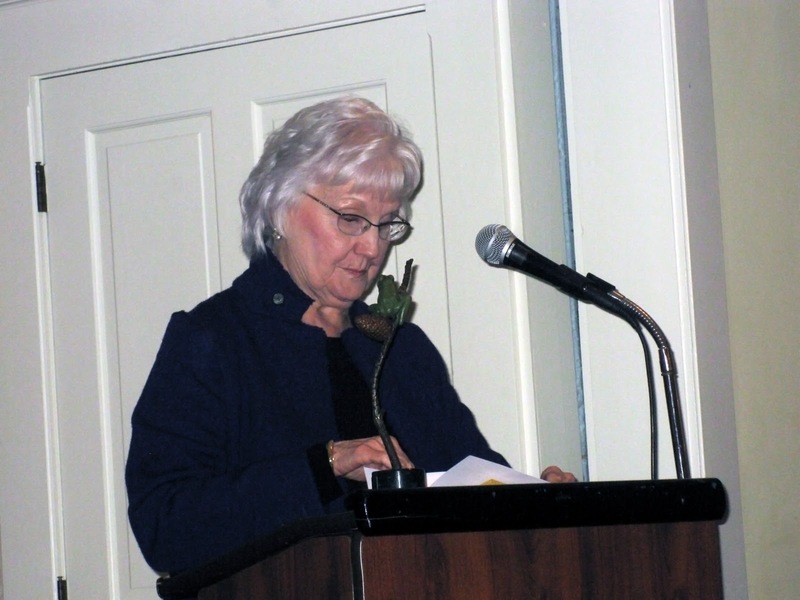 And recently, she was inducted into the Pinelands Hall of Fame for a career that wasn't just successful, but never backed down from her beliefs, and always looked to the facts to do what was right. She did what I believe we all must do: use our lives to change the world for the better. 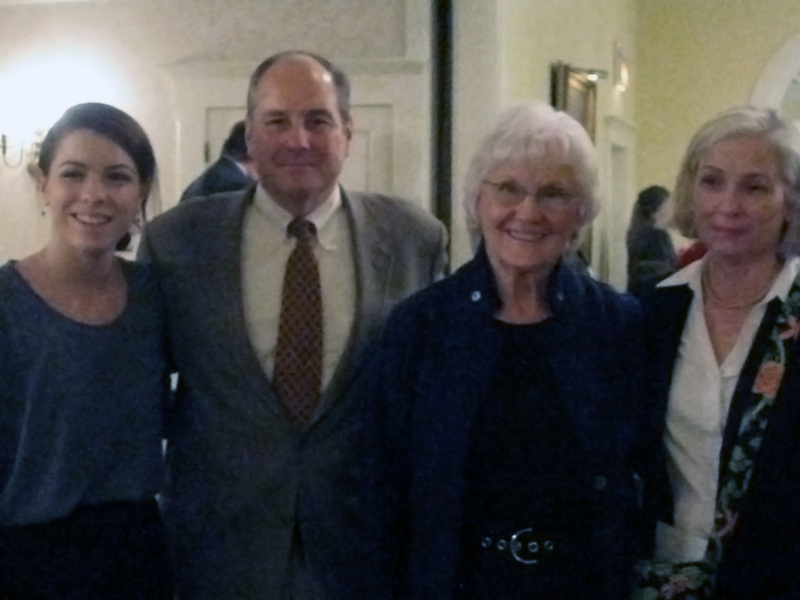 And with her family and friends around her, she was honored for all of it. Her own speech thanked the people who came before her and the ones who are taking up the mantle for today and the future. I am very proud to be her niece. Disney Magic is back!, originally uploaded by eblackwell. 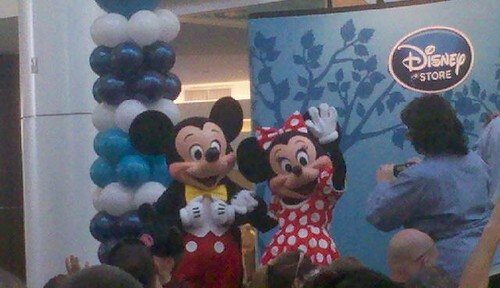 Mickey and Minnie wave hi as I jump up and down like a 5 year old! They're part of opening day celebration in Cherry Hill. We'll see you in Orlando in 2 weeks, guys! I love Thanksgiving: I love making a fire in the fire place, then sitting down to watch the Macy's parade, flipping over to check out the Philly parade too. I used to call my mom and we would talk about the floats over the phone as we watched on our TVs. I love stuffing, green bean casserole, mashed potatoes, and pumpkin pie. I love the feeling of it, talking my friends and family and just being happy they're in my life. I always end the day by watching "Miracle on 34th Street" which takes us from Thanksgiving to Christmas. 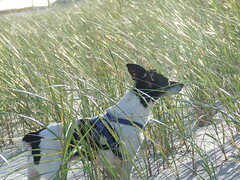 We've already decided we're going to spend Thanksgiving at home just the two of us with the dogs curling up around us. It will be cozy and peaceful. I started thinking about what I can be thankful for. 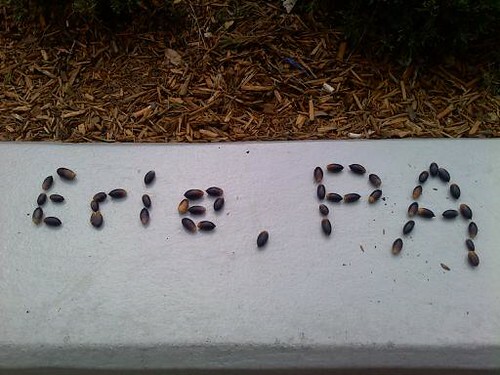 It's been a rough year as you all know. A lot of bad things have happened, so it's good for me to think of what's good. We got Rico. 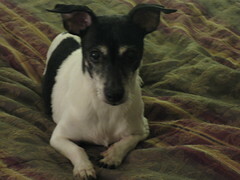 Sweet, funny, loving, little macho man Rico. Thanks to my friends like John, Cathy, and Liz who are helping me with the job search, and all the people who are giving me a reference. Thanks to my brother-in-law Martin who is helping me to get rid of this everlasting eczema. I still have Casey and Elphie cuddled next to me. John just sent me a text saying "I love you" because he knows how I struggle with cover letters. Thanks for my sisters Terry and Gerry who offered ways for me to interview out of state. Thanks to Denise and Pam and all the wonderful inhabitants on the Oasis Animal Sanctuary farm for the mornings of peace and fun after some bad nights. I did have a mom who did things like watch the Macy's parade with me, over the phone and in person. Miss you, Mom. And I have this Saturday night to celebrate my aunt's achievements as her peers give her a dinner of honor. Did I mention I'll be glad when this round of cover letters will be done? 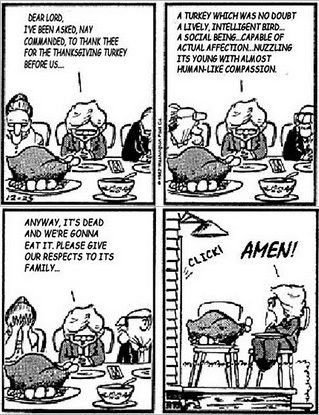 To kick off the Thanksgiving fun, here's a classic Bloom County Thanksgiving strip. 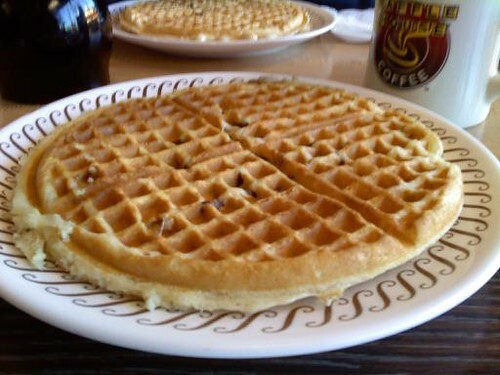 It's always been one of my favorites.